EHS management software helps organizations in reducing risks and comply with appropriate EHS regulations. An Environment, Health & Safety (EHS) Management Software helps companies in learning, anticipating, preventing occupational injuries and illnesses or adverse environmental impacts. It improves the reporting and management of environmental performance, better manages the risks, reduces costs and streamlines business processes of a company. It is an Integrated Management System making it easy to manage, track and report EHS data. Health and safety management software practices meet the organizational standards and improve the health and safety of the company's workforce. It helps clients track environmental effects, manage security and risks. It complies with different governmental, local, and international regulations, along with ISO compliance principles. 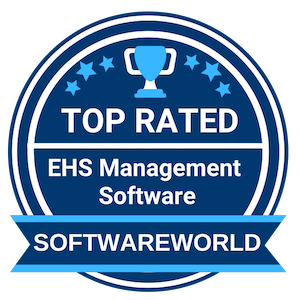 If you are looking to own EHS management software, look into the SoftwareWorld's list of top health and safety management software. It will help you decide the best suited EHS management software. What are the Best EHS Management Software in 2019? About SafetySync : SafetySync is one of the most comprehensive software for EHS management today. 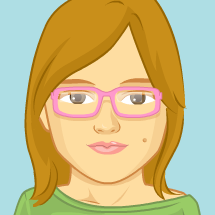 The software is well programmed to provide online safety training to workers. SafetySync is competent in providing policy distribution, equipment management, and safety evolution. The software is affordable and is compatible with all types of industries. This intricate software comes with 25 customized tools for incident tracking, health and safety management, compliance monitoring and other such features. About MyEasyISO : MyEasyISO is one of the most cost-effective solutions for QMS compliance industries. The software is efficient and manages quality, healthy environmental control, and safety certifications like never before. MyEasyISO is an automated, cloud-based agile software solution that helps the team focus on their work without worrying about the risks involved in the work process. MyEasyISO is certified, robust, and incredibly user-friendly. The software manages customers, work process, enhances planning, and audit controls. “Make the jobs more easy for quality system officer that runs ISO in company, because the clausul and requirements of ISO standard is systematicaly insert into the software. 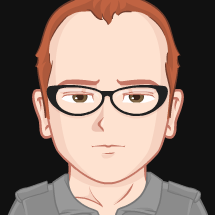 besides that the monitoring of process is very easy” – Robby A. About SiteDocs : With SiteDocs, the company’s safety compliance goes easy and paperless. The software application not only helps the organisation save money from going paperless, but also hoards from spending hours and hours of manpower used in handling those paperworks! SiteDocs uses four simple steps to make your organisation go work friendly for the on-site workers. Now the management can monitor real-time safety features, track worker’s certifications, upload safety manuals, and documents online and enhance manpower. About Gensuite : Gensuite is an incredible EHS software program that is supporting more than 200 subscribers. The program is a cloud-based solution that offers a powerful suite of health control and safety features. Gensuite offers sustainability, product stewardship, asset equipment management, quality, and security with its overwhelming features. Together with its array of other products, Gensuite is assisting business offices from 8 countries and serves more than 60000 users. “As a fast-growing company with multiple sites, Gensuite enables us to see critical EHS data from afar. The best thing about Gensuite is that it is user-friendly for our team, encouraging accurate reporting and data from our front line users through intuitive interfaces.” – Rob P.
About Assignar : Assignar is one of the most popular construction operations software that meets all the flexible needs of construction businesses. Assignar helps in managing your construction business quite well by scheduling contracts, managing resources, and connecting with real-time field members. The software is equipped with tracking compliance that helps in notifying on-site crew about schedule changes and competences. By installing Assignar, your company eliminates cost incurred in paperwork and managing records on a cloud-based platform. “Perfect tool to ensure good project management from any approach. 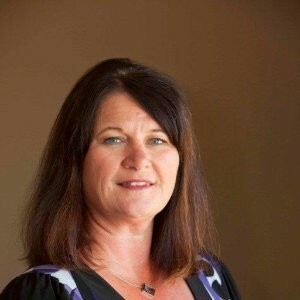 It allows us to optimize all the processes of an organization, from logistic control to personnel registration, its appearance in real time allows the operations of organizations to be easier to carry them out.” – Marielys DL Angeles M.
About Wellsite Report : WellSite Report is a reporting software that promises greater results to construction businesses. With the WellSite Report, you are able to manage and streamline report procedures, track data, and capture important data directly from the records. With its outstanding features, WellSite Report helps the management in focusing on real-time management. The software assists in report managing, job tracking, establishing real-time communication, and form builder service efficiently. “Best tool to boost reporting efforts, and follow up on investigation closure. Easy to use software to record, consolidate and analyze reporting trends both on HSE and Service Quality performance. Very user friendly process to keep track of incidents, from data input to root cause analysis and action items’ closure.” – Nadir N.
About SHEQX : SHEQX stands for safety, health, environment, and quality. The software is curated to suit international standards and quality. Understanding the importance of health and safety management, SHEQX is equipped in impeccable features. The software supports employee management, customer relationship management, change management, inspection, meetings, legal requirements, stakeholders, supplier management, and numerous other such facilities. SHEQX assist your business to drive all the operational management with performance driven objectives. “Overall functionality is excellent and support is great! Meeting manager and ease of setting up templates for meetings. Action manager that is linked to all processes” – Ryno L.
About Certainty Software : An audit and inspection software program are equally important for any constructional business. Certainty Software is one of the powerful enterprise management software that controls performance rather than gathering data. The software solution is used by more than 85000 professional worldwide. Certainty Software is a web-based solution which provides automated and configurable corrective notifications by feeding in data and making the work paperless. The software has Multilanguage capabilities, hence making it compatible worldwide. “Checkit helped us to automate the workflow associated with auditing employee behaviors. Digitizing the checklists has saved us time and allows for great visibility into our operations. The customer service has been superb and the team at checkit if very responsive to our needs and wants. Great company to work with!” – Marcus S.
About IsoMetrix : ISOMetrix is a one-stop EHS software solution for the mining companies that are turning technology friendly. The software provides sustainable support to the companies that are performance oriented. ISOMetrix understands the intricate risks involved in the mining business and proactively manages the risk and helps in complying with health, safety, environment, and quality needs. With its offices in USA, Canada, Australia, and South Africa; ISOMetrix is becoming popular with international companies. “The navigation around the system takes a while to master, however their features and functionality are really good , their dashboards are descriptive and their customer service top notch.” – Miriam K.
About Lighthouse HSE : LightHouseHSE is a complete safety management software that any construction or mining business can ask for! The software has impeccable facilities to manage Incident, work training, corrective action, vehicle management, safety, and hazard management. The software provides access to company management is staying connected with on-set workers. It helps in accessing reports, curate training modules, and brief data to the workers from time to time. “The most felxible data management software! Lighthouse lets you build and database safety functions in an easy to use front end and one of the most flexible back ends I’ve seen to date. We have incorporated everything from in field forms, safety inspections and incident management and the system integrates perfectly..” – Daryl W.
» Recruiting Software - Say goodbye to the missed hiring chances forever with the recruiting software! There is no denying that recruiting is quite a time-consuming process. You couldn't agree more, could you? Hiring managers and recruiters face an overload of resume. » Attendance Tracking Software - It doesn't matter what size your company is as long as there is an attendance tracking software. It helps in recording employee attendance. It allows you to easily record and report tasks as well as streamline the work.